Women love their hair. Even a cheap haircut gone slightly wrong results in numerous sleepless nights and several failed attempts at diverting attention from the remotely possible hair-raising catastrophe. This attitude just amplifies as a bride is preparing for her wedding. They want to look their best on the D-day, whilst guarding their unique sense of style. 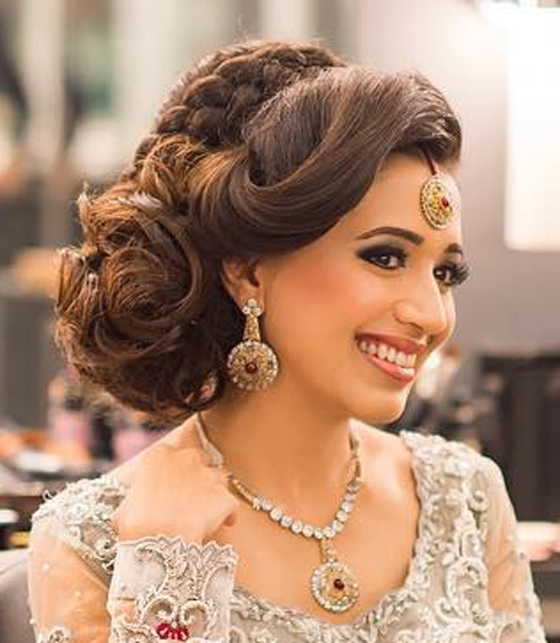 Here are some hairstyles contemporary Brides can experiment with. This look is perfect if you want emphasis on your hair. Getting it professionally styled will be a better idea as letting you hair down doesn’t just mean leaving them open as it is. It is easy to appear callous and messy, your tresses could cover up your entire face. Professionals curl and/or highlight your hair to create a neat and elegant look. This is the most common style most brides these days opt for. It neatly pushes all your hair back. It emphasises your face and jewellery. You don’t have to worry about appearing shabby. The bun also acts as a support for the ghoongat to stay in place. Presently, there are several kinds of buns, each as chic and classy as any other. Some of them are Rose Bun, Braided Bun amongst many others. 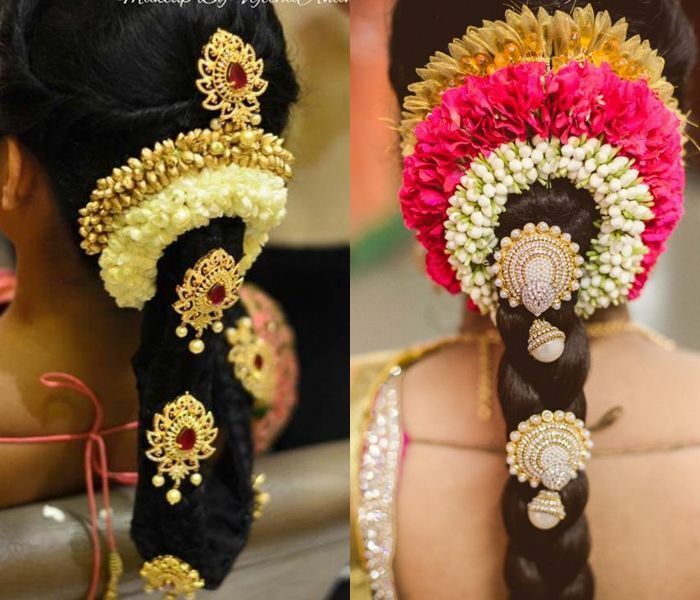 Generally opted for by South Indian brides, this is similar to the bun in many ways. It ties your hair together such that the attention is on your visage and ornaments. This is also convenient if one’s hair is too long to be tied into a bun. Don’t have long hair but still want a plait? No Problem! For there are hair extensions that can be added to your hair and blend in perfectly, creating the perfect traditional look. These plaits are often adorned with jewellery to make the bride’s overall look grander. These are similar to plaits and have become very popular in the recent times. While to make a plait the approach is more algorithmic, braids allow for numerous tyles and a lot of creativity when it comes to hairdressing. Braids allow your hair to be let loose whilst not covering your face. Braids like plaits can also be ornamented with beads and stones, made into buns, hairbands and what not.